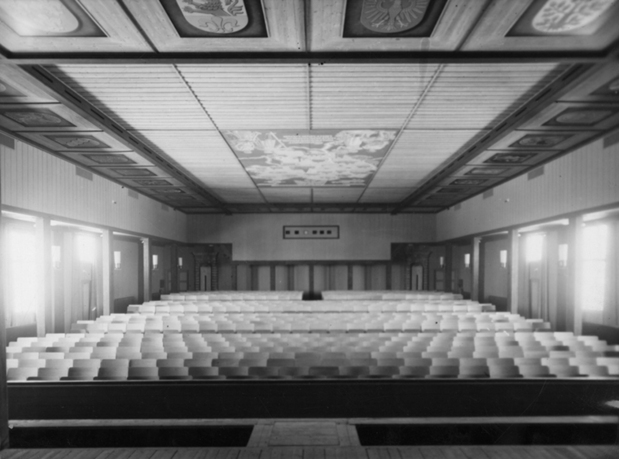 Auditorium of the Kristiansand soldiers' home, 1942. Courtesy of Norwegian National Archives, Oslo. After the 1940 invasion of Norway left dozens of towns in ruins, Nazi authorities in Berlin launched a vast program of rebuilding and development to give form to the Greater German Reich in the north. Hitler's Northern Dream: Building an Empire in Occupied Norway examines the massive construction schemes undertaken in Norway and what they reveal about the National Socialist vision of colonial territories in the postwar world they imagined. 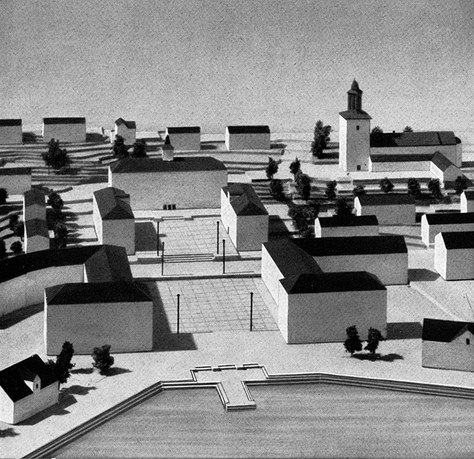 The book project focuses on three areas: 1) the transportation infrastructure built by the Organisation Todt to overcome Norway's geographical isolation and insure its physical, economic, and political integration into the German Reich; 2) the reconstruction of Norwegian towns carried out by the Norwegian state agency, the Redevelopment of Burnt-Over Areas, under the supervision of Albert Speer; and 3) plans for Nordstern, Hitler's vision of an ideal German city, to be located near Trondheim and designed by Speer. Despina Stratigakos is professor of architecture at the University at Buffalo. She is the author of three books that explore the intersections of power and architecture: Where Are the Women Architects? (Princeton University Press, 2016); Hitler at Home (Yale University Press, 2015), and A Women's Berlin: Building the Modern City (University of Minnesota Press, 2008). She also writes about diversity issues in architecture for the broader media. She currently serves on the editorial board of Architecture Research Quarterly (Cambridge University Press), as a trustee of the Beverly Willis Architecture Foundation, and as an advisor of the International Archive of Women in Architecture at Virginia Tech. She received her PhD from Bryn Mawr College and taught at Harvard University and the University of Michigan, before joining the Department of Architecture at the University at Buffalo. Currently, she is in residence at the Institute for Advanced Study in Princeton as a member of the School of Historical Studies.